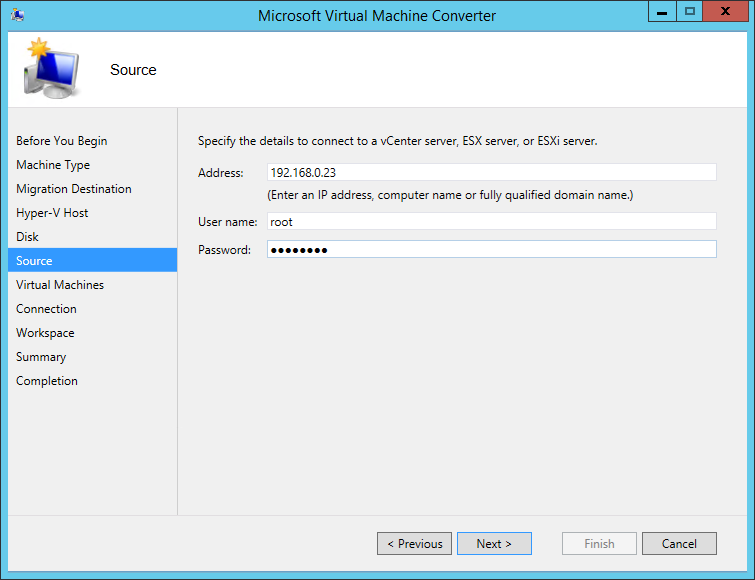 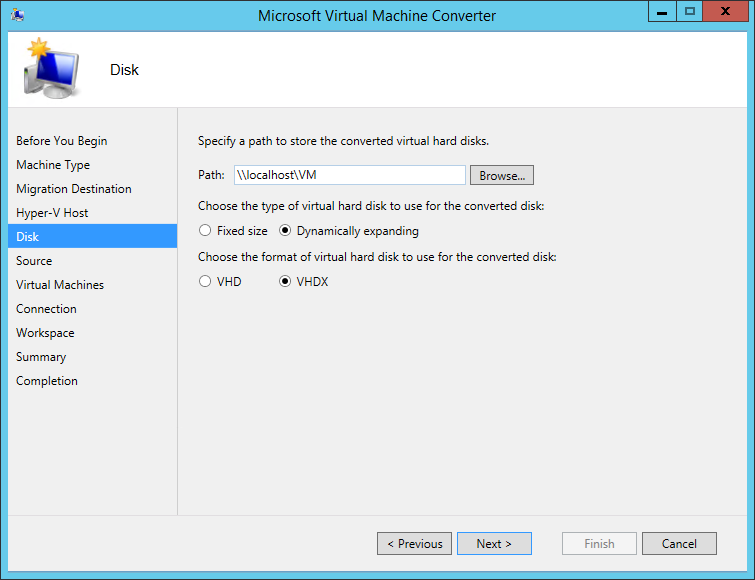 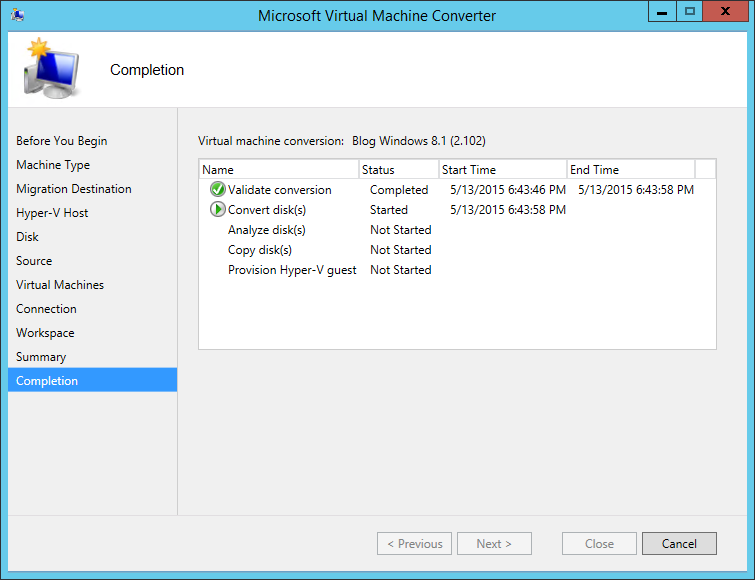 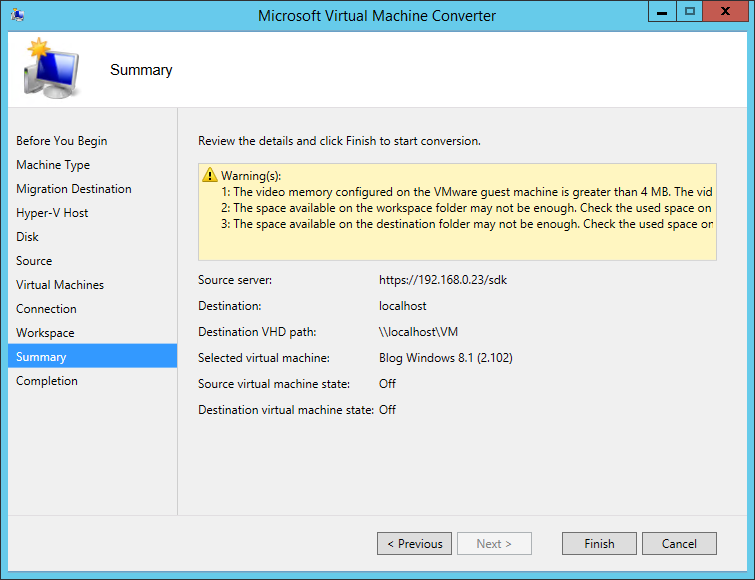 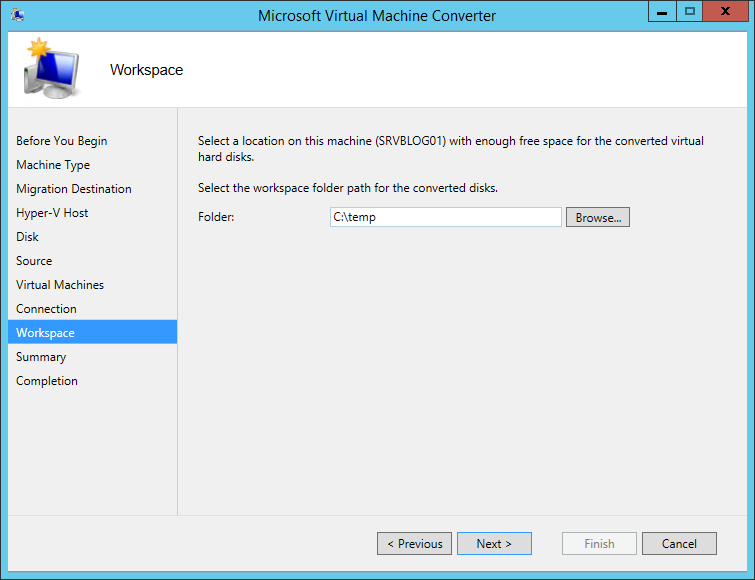 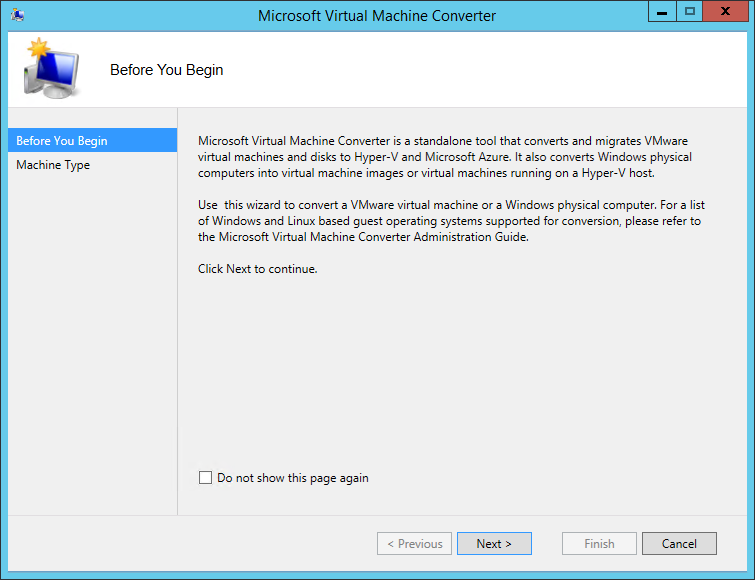 We’ve already seen how you can convert a VMware ESX(i) virtual machine in a Hyper-V one, using 5nine V2V Easy Converter. 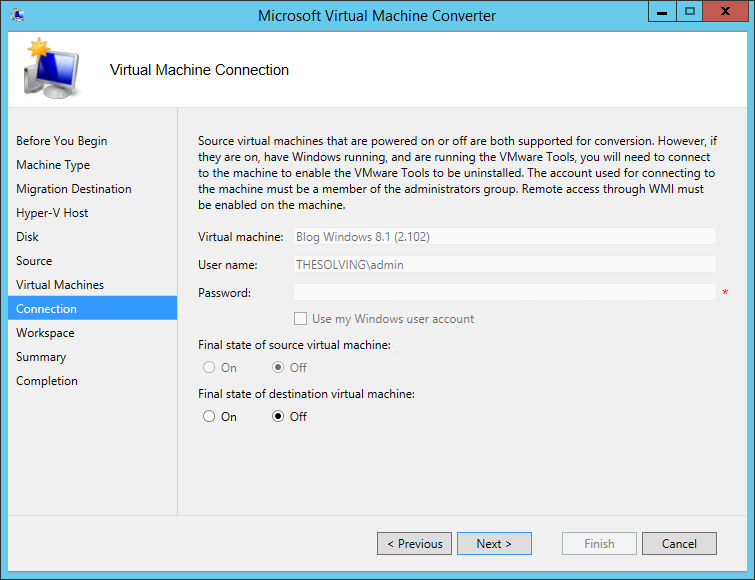 We can do the same, with some limitation, with a tool called Microsoft Virtual Machine Converter. 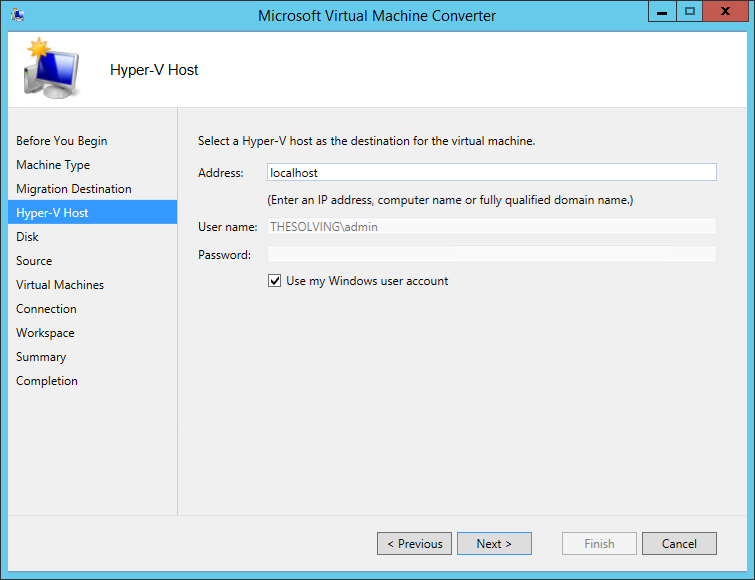 Compared to the 5Nine application we have the support of Microsoft, a good news, but we’re limited by a condition: the Hyper-V node must be in the same Active Directory Domain Services of the virtual machine. 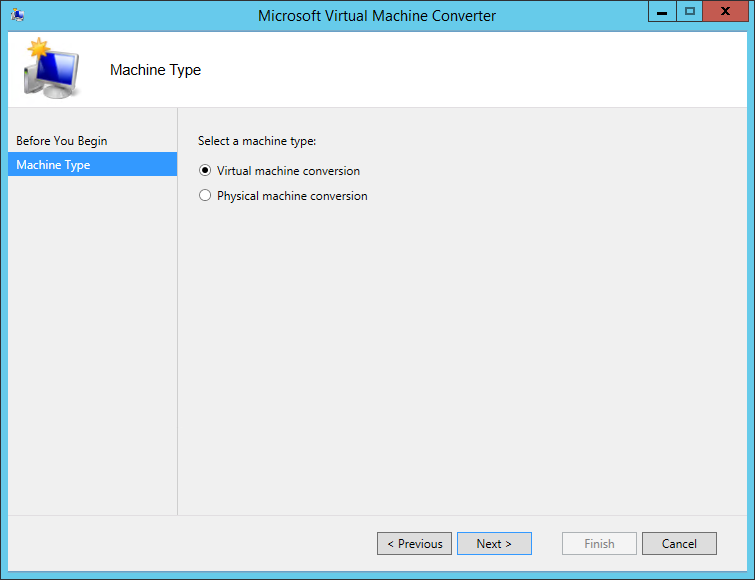 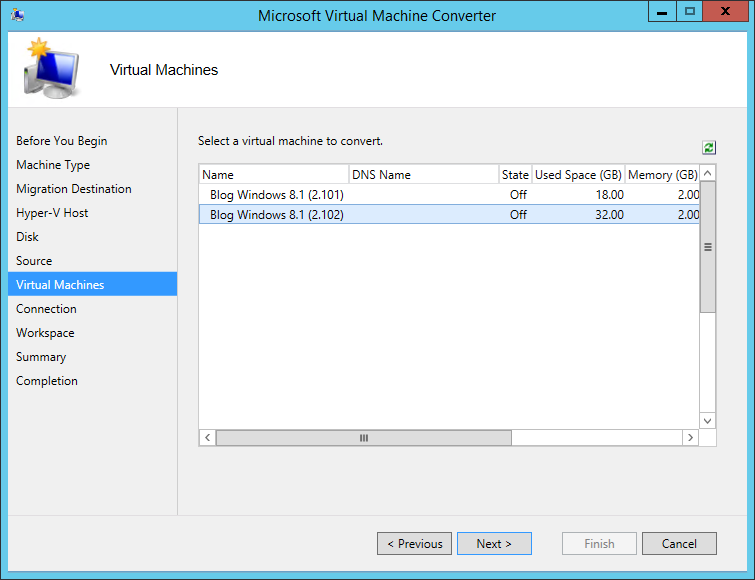 Microsoft Virtual Machine Converter also allows to convert physical machines and to deploy converted machines directly to Azure. 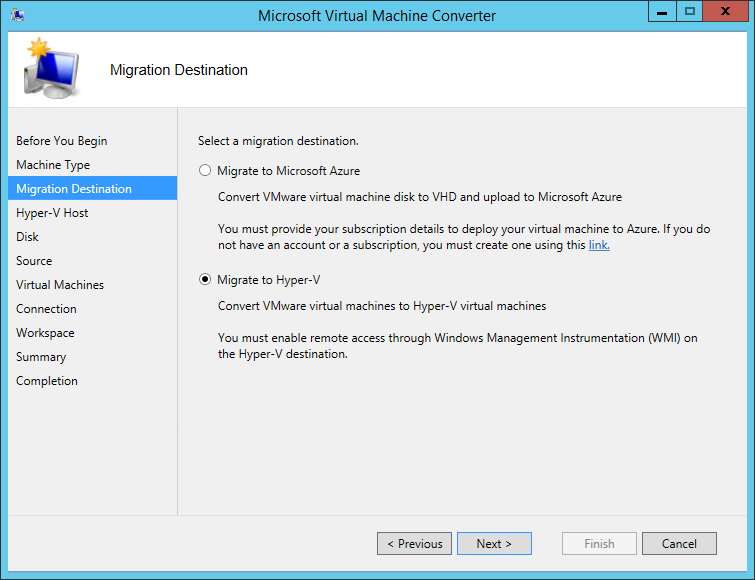 You can download the software directly from Microsoft.